Stéphane Peterhansel is in his element on the dunes of Acari. 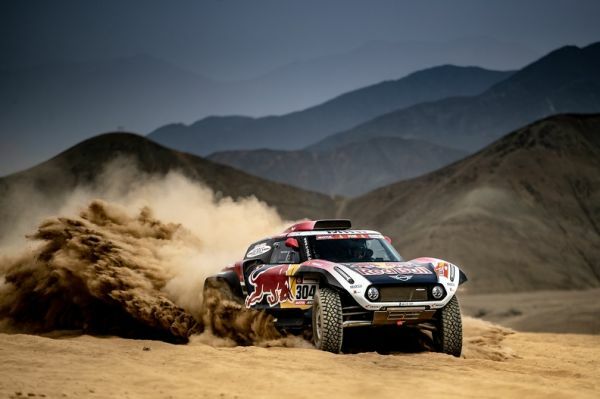 The Mini driver holds a lead of 1'13' over Nasser Al-Attiyah and 2'02' over teammate Cyril Despres after 100 km of racing. Sébastien Loeb and Nani Roma are proving unable to match yesterday's extraordinary performance. Peugeot no. 306 and Mini no. 307 are conceding about 8 minutes to Stéphane Peterhansel after 100 km.